The month of love is coming into full bloom; spoil your significant other with a romantic experience at any of these venues, each offering whole-heartedly curated treats for the lovers and the beloved. La Petite Ferme, situated in Franschhoek, arguably the most historic, beautiful and captivating town in the Cape Winelands, promises each guest an unforgettable experience this Valentine’s Day. Serving lunch and dinner à la carte, The Restaurant at La Petite Ferme will be sure to exceed your expectations. Chef Kyle Norris and his team will be sure to blow discerning diners away with their creatively styled and locally-sourced menu. 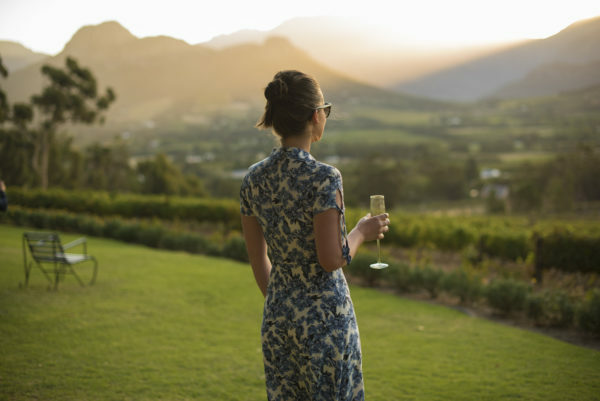 Enjoy an aperitif on the lawn gazing at the majestic views of the Franschhoek valley, followed by a romantic lunch or dinner at La Petite Ferme this Valentine’s Day. Think red and white, think roses, think rosé. Ensconce yourself within the charming surroundings of the ideally located boutique hotel & restaurant. Find yourself indulging in a wine gift for the best-dressed guest in red. Bookings are essential. To book & for more enquiries call 021 876 3016; send a mail to reception@lapetiteferme.co.za or visit www.lapetiteferme.co.za . When visiting Haute Cabrière this Valentine’s Day, guests will find themselves spoilt by the estate with a complimentary glass of Pierre Jourdan Belle Rose on arrival. 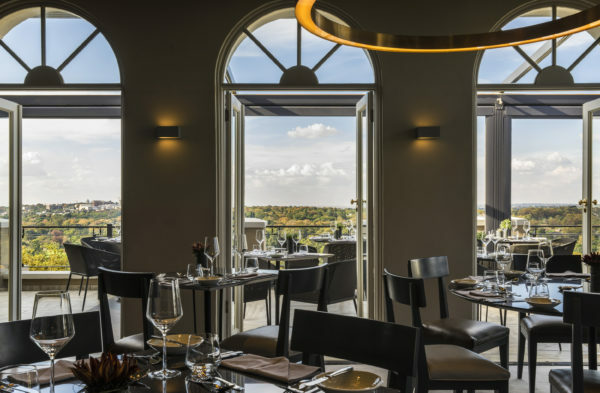 Treat your loved one to a romantic lunch at the Cellar Restaurant dining room that overlooks Haute Cabrière’s maturation cellar on one side, and a breath-taking view of Franschhoek on the other. During summer, lunch is served on the terrace enjoying the views of the valley. The food philosophy of chefs Nic van Wyk and Westley Muller inspire bold flavours and classic technique, ensuring a menu that is unique, yet comforting. Spoil your loved one with a romantic evening Picnic on the Go on the beautifully manicured gardens of Allée Bleue. Create your own love nest in a private spot and glam it up with cushions, throws, picnic blankets and themed accessories to impress your other half. Allée Bleue will provide the lavish love-themed picnic basket and the bubbly whilst you enjoy the sublime sunset and scenery. 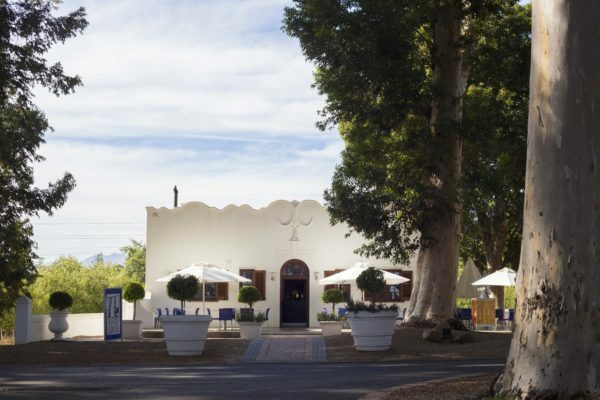 At Allée Bleue the serviced seated picnic experience, the Chicnic, in the Picnic Courtyard ticks all the boxes – meaning you can simply arrive to enjoy a setting ready for romance, surrounded by the beautiful views of the Franschhoek Valley. The Picnic on the Go costs R675 for a basket for two whilst the Chicnic basket is priced at R690. Both picnic options include a bottle of wine and a selection of hand-crafted chocolate truffles. 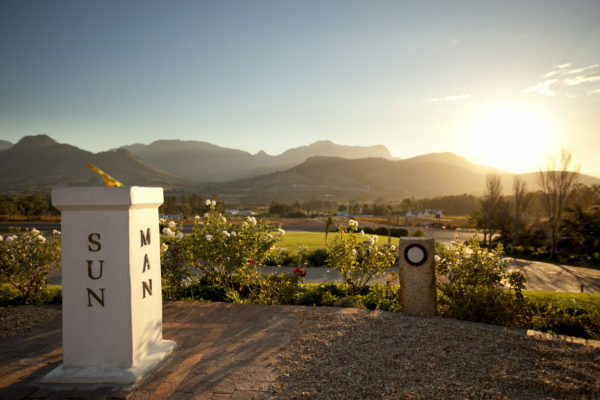 This evening offering takes place from 17h00 until 20h30, with the latest arrival at 18h30. The Valentine’s Day picnic basket menus are available to book via the website. Bookings can be made via the “Book Now” button on www.alleebleue.com. For the more traditional Valentine’s dinner, Chef Gordon Dovey and his team at the Allée Bleue Bistro had a marvellous time creating a romantic 5-course menu which features some favourites to share. Start off with a welcome drink and then treat yourself and your beloved to an evening under the stars (weather permitting) and food to impress at only R385 per person. The menu is available on the website: www.alleebleue.com. Book now via email Info@alleebleue.com. 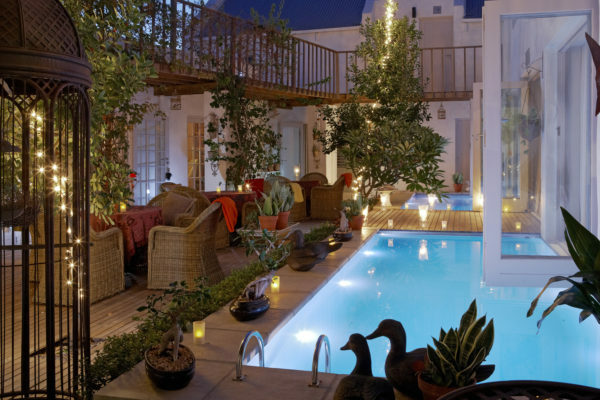 Indulge in a weekend getaway to one of the West Coast’s seaside gems, Abalone House & Spa in Paternoster. Imagine the most decadent escape possible, cocooned in opulence and surrounded by intricate indigenous gardens with the cool Atlantic Ocean as a backdrop. Picture pure luxury in the midst of wind chime music and flowing water, tangles of orchids, vibrant art and cosy intimate spaces. You’ll find it all at Abalone House. This Valentine’s Day, The Restaurant at Abalone House is creating a romantic atmosphere like no other, setting the ideal space suited for lovebirds. The five-course menu for the evening keeps things simple yet elegant, finding inspiration from seasonal ingredients. At R680 per person, spoil your loved one to a romantic dinner at The Restaurant at Abalone House, the offer includes a glass of sparkling wine and chocolate treats. To view the full menu, click on the link below. Booking is essential. Pamper your significant other this February with a relaxing treatment at The Spa at Abalone House. Book the Africology Shea Aroma therapeutics 60 min Full Body Massage at R599 per person. Valid until 28 February 2019, advance reservations are essential. For bookings call 022 752 2044 / 014 004 0131 or email info@abalonehouse.co.za; or visit http://www.southofafrica.co.za/properties/abalone-house/. Spoil your loved one with a sophisticated fine-dining experience at the newly opened Luke Dale Roberts venture, Salsify at The Roundhouse. Chef Ryan Cole heads up this edgy space of eclectic décor that juxtaposes the formal with a dash of attitude. 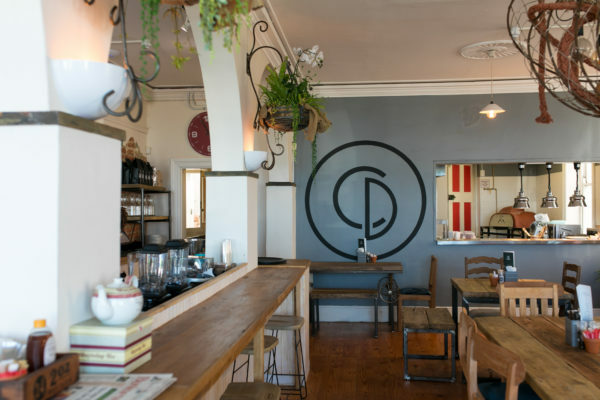 This restaurant has already established itself as a must visit destination for Cape Town gourmands. The restaurant occupies the upper level of the historical Roundhouse building, boasting rich historical value and majestic sea views. Picture yourself at a table for two surrounded by beautiful roses, sharing a dining experience like no other. For bookings call 021 010 6444 or book online via www.salsify.co.za. Just opposite the famous Dalebrook Tidal Pool in Kalk Bay, the recently opened Dalebrook Café is the place to be this Valentine’s Day. This endearing seaside café is perfect for a romantic light lunch for those that enjoy an authentic and rustic-feel, topped with majestic seaside views. The Valentine’s special includes a combo of 6 oysters, baby calamari with salad or hand cut chips and sweet chilli mayo, as well as a slice of homemade cake of your choice to end things off on a sweet note, available at only R220 per person. For more info call 083 326 0184; email info@kalkbaycafe.co.za or visit www.dalebrookcafe.co.za. To celebrate in true Italian splendour, secure your booking for Forti Grill & Bar’s exclusive Valentine’s Day dinner. On 14 February 2019, acclaimed chef, Fortunato Mazzone will be pulling out all the stops devoted to the day of love at his fine dining Italian restaurant in Pretoria East. The 3-course menu includes two platters to share, an indulgent main course choice between Kingklip, steak or pasta, decadent dessert options and a bottle of Billecart-Salmon Brut or Demi Sec Premium French Champagne, imported mineral water and coffee/tea per couple. With a choice of an early to later seating for the evening, in order to fit in all of the romantic surprises and gestures, guests can be seated at 6pm and then again at 9pm – bookings secured by pre-payment. Guests can enjoy this premium offer at only R1990 per couple. To view the full menu, click on the link below. For bookings call 012 003 6180; send an e-mail to forti@forti.co.za ; or visit www.forti.co.za. 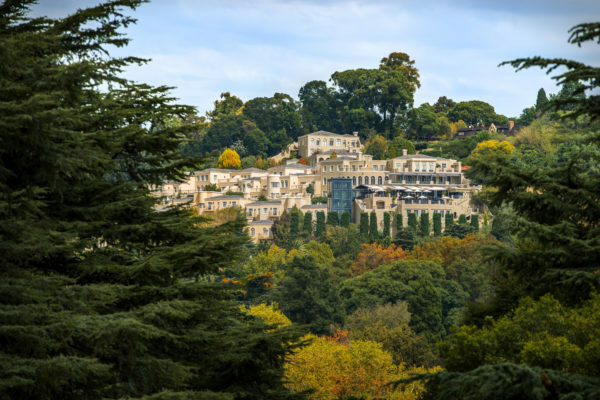 Treat your loved one to an unforgettable experience at the Four Seasons The Westcliff this Valentine’s Day, where the team has curated experiences for every kind of romantic. The name doesn’t lie. 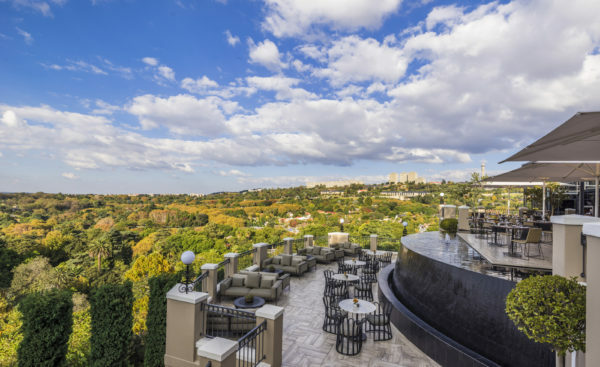 The incredible panoramic views of Johannesburg you’ll enjoy from your table are matched by the creative and satisfying avant-garde cuisine on your plate. Visit View restaurant at The Westcliff this Valentine’s Day for a romantic 5-course meal with breath-taking vistas. 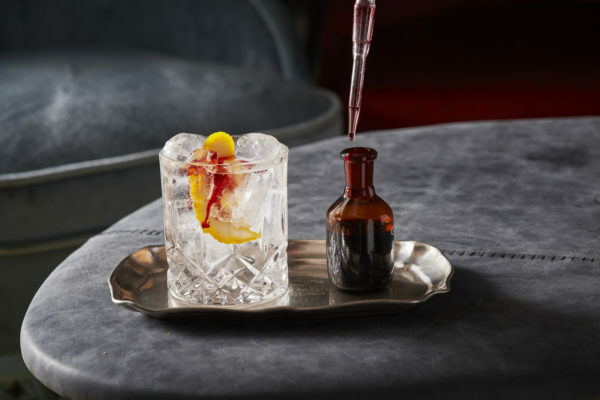 Revel in the spoils, complete with a complimentary glass of Prosecco with oysters, an after dinner digestif as well as a rose and chocolate-covered strawberries to enjoy at home. Guests can book the 5-course set menu at R1950, as well as vouch for a more premium option of the 5-course set menu at R2500. The limited guest capacity of 60 guests makes booking essential to secure this exceptional experience. To book, call +27 (11) 481 6000, email reservations.johannesburg@fourseasons.com ; or visit www.viewrestaurant.co.za . To book, call +27 (11) 481 6000 or visit www.flamesrestaurant.co.za. Celebrate Valentine’s Day at the Breedekloof Valley gem, BOSJES. 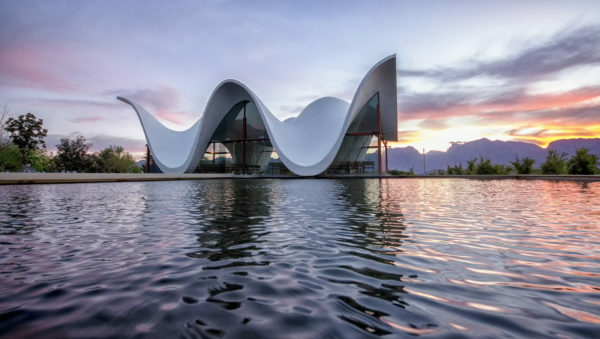 This family-owned farm, restaurant, wedding venue and architectural wonder site is the perfect place to share a romantic getaway into the majestic scenery of the Western Cape. 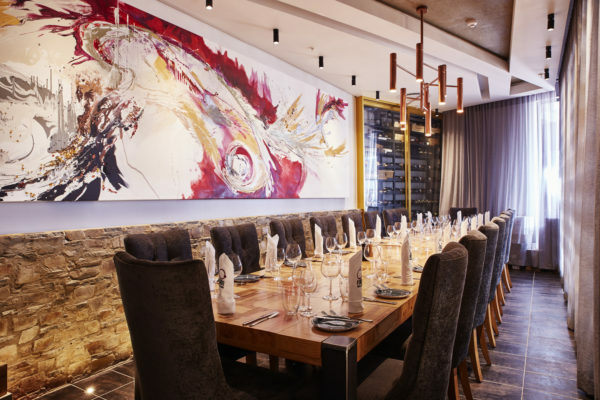 Join BOSJES for a sophisticated monochromatic evening on Valentine’s Day where guests can enjoy a 4-course menu from BOSJES Kombuis paired with wines from the newly launched BOSJES wine range. Chef Kim Cox and her team are bound to pull out all the stops with creatively curated meals for this evening of love. The evening takes inspiration from Truman Capote and guests are asked to bring out their best black and white attire, with a strict black and white dress code. For bookings call 023 004 0496; send an e-mail to feast@bosjes.co.za ; or visit www.bosjes.co.za.